Close-up images of materials needed. Enlarge Picture of supplies needed. 1. 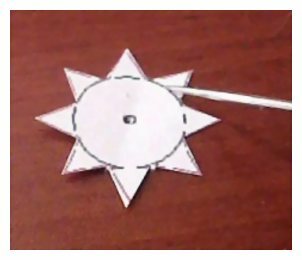 Click enlarge image, then print the following lampshade template on cardstock. 2. 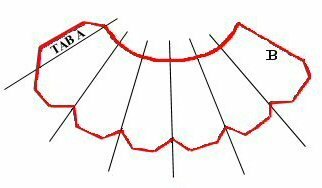 Click enlarge image, then print the following harp template on cardstock. 3. Score the lampshade template along all black lines. 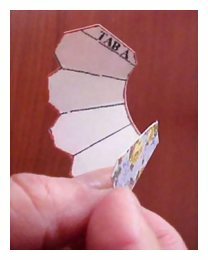 When selecting your decorative paper, you can use parchment paper, however, you may find it a bit "floppy"; you can strengthen it with Modge Podge or something after the shade is formed. 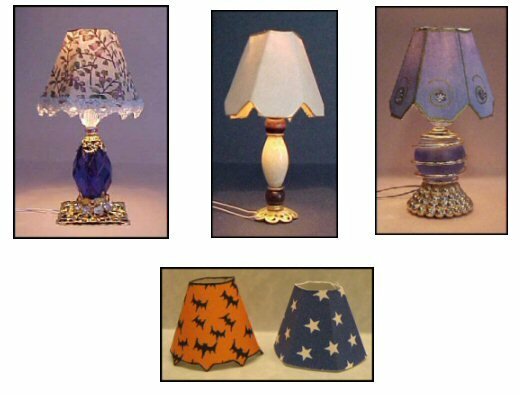 Wallpaper is also a good material for making lampshades. 4. 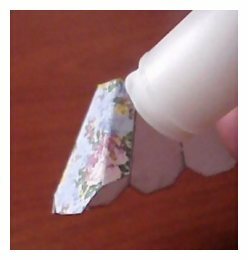 Using the Glue Stick, glue the back of the lampshade template to the back of your decorative paper. 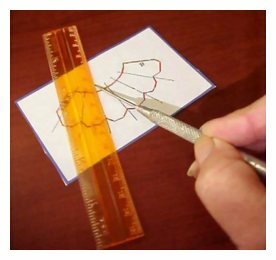 Cut through template and decorative paper on red lines. 5. 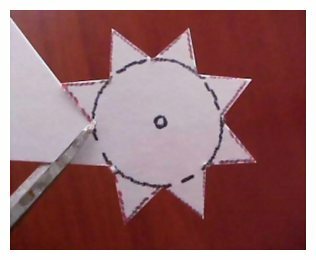 Gently fold along score lines toward the template side to form the shade. 7. 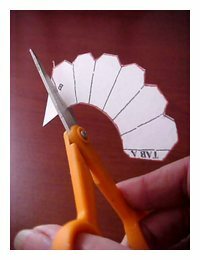 Cut harp from cardstock along red lines. 8. 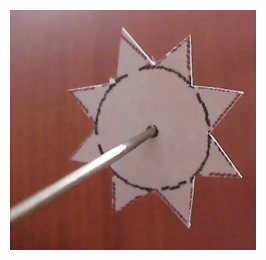 Using the needle tool, poke a hole through the center of the harp. 9. Score harp along black lines, then bend harp points down along score lines. 10. Insert the toothpick into the hole in the center of the harp. 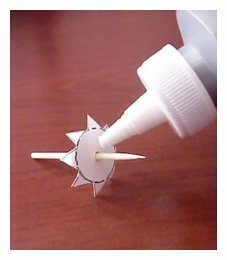 Stick it through about 3/4" and glue in place. Put a small dab of glue (Aileen's tacky glue works best) on each point of the harp. Enlarge Picture of the toothpick into harp. 11. 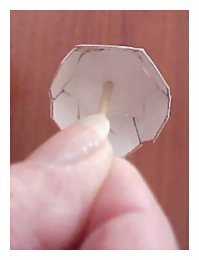 With the points of the harp pointing down, insert the harp into the shade, gently pushing the glued points against the inside of the lampshade, making sure the harp sits evenly against the inside of the shade. Enlarge Picture of Insert harp into shade. 12. Glue bead onto point of toothpick. Enlarge Picture of finished shade. 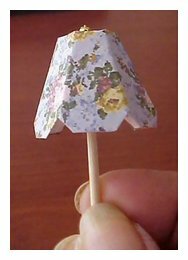 For a more finished look to your lampshade, paint the toothpick and the inside of the shade. Pat Carlson has been making miniatures for twenty years and specializes in making readable, hardbound miniature books. Pat is a valued member of CDHM and a Moderator in the CDHM Forum. Visit the Galleries today. Reproduced with permission from Pat Carlson. 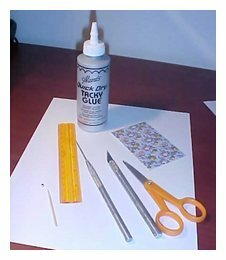 All photographs and text appearing in this tutorial are the exclusive property of Pat Carlson. Permission is explicitly denied for any republication of text or photographs in this article without the prior express written consent of the author.